This was another really great book by Bethany Lopez. Lila and Cade are back in all their wonderfulness, and this time, Cade is taking Lila and her kids to meet his parents. I love that this series isn't your typical romance. Things are a bit fun and crazy at times, but the love and friendships (and cupcakes!) are what make this story so unique. This book also has some drama and suspense, and being in Hawaii doesn't stop Lila from finding trouble. Or does it find her? Either way, she can't not help when someone Cade loves is in trouble, so off to the rescue she goes. When things go south, Lila finds herself in over her head. I really liked Cade's parents. They were pretty laid back, and I enjoyed how welcoming they were to Lila and her kids. And, of course, I love me some Cade. It's pretty simple - he's hot and he's awesome. What's not to like? I did miss Lila's girls this time around, but hopefully we'll get more of their stories in the future. Overall, I really enjoyed reading Lei'd With Cupcakes. This was a really quick read and a great addition to the series. I haven't read any books by this author before, but thanks for bringing this one to my attention. I'm so glad you enjoyed it :D Thank you for sharing your thoughts :) Awesome review! 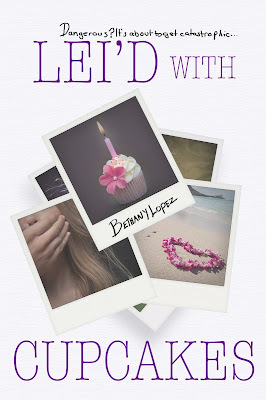 Thank you so much for reading and reviewing Lei'd with Cupcakes!